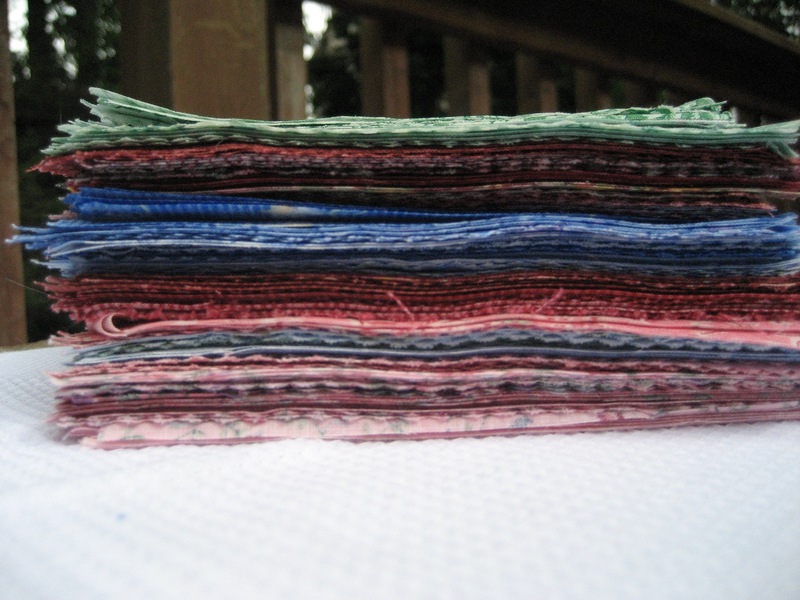 mmmmm material, fabric, colour, texture. It is right up there with food for me. 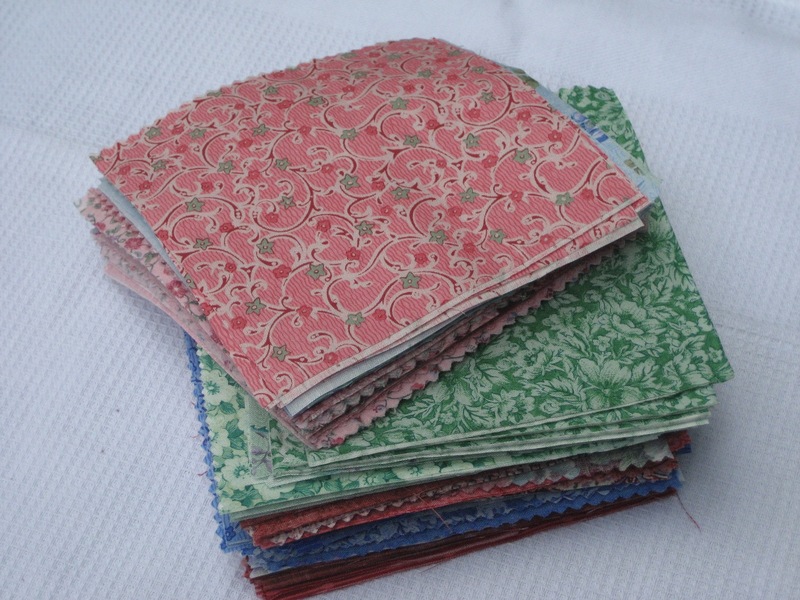 I salivate when I see lovely, pretty things made with delicious fabric. 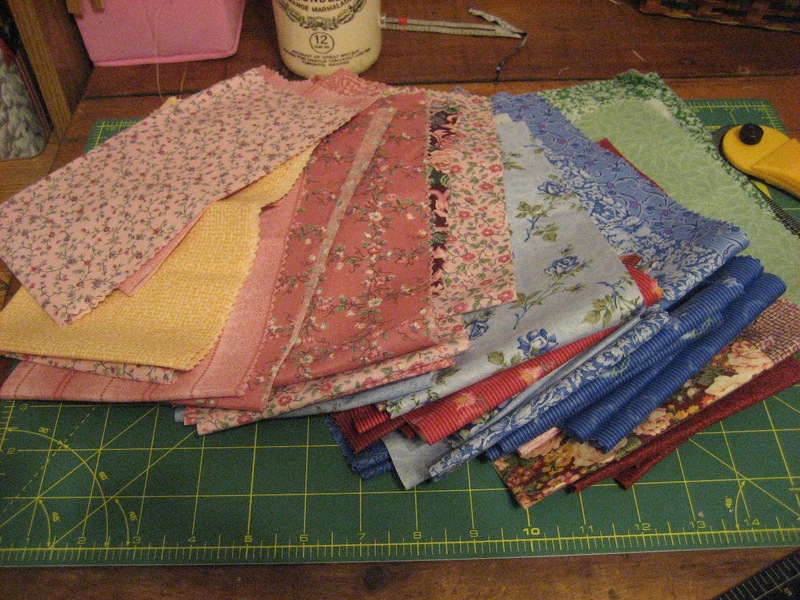 So – I have this pile of coordinating fabrics that I keep staring at. 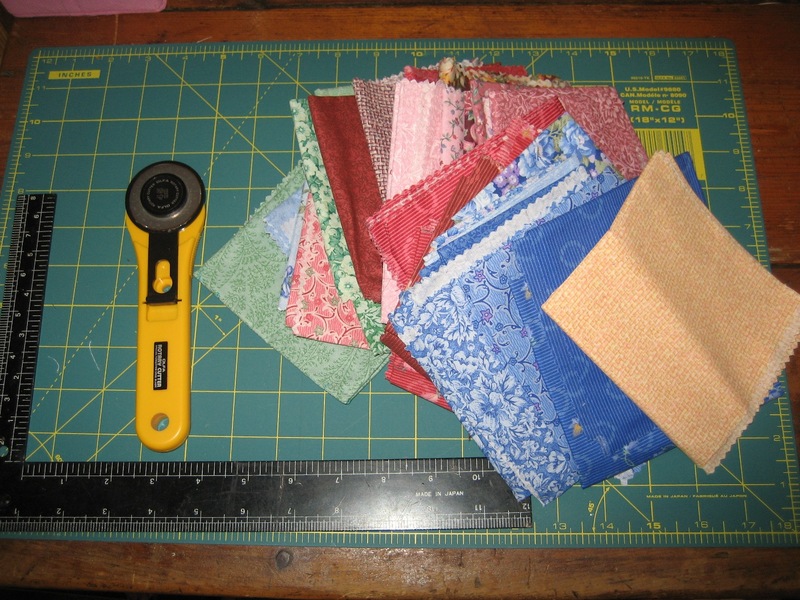 I did not really want to spend a huge amount of time and effort on a complicated piecing project. I was really just in love with the old-fashioned prints. So I decided on blocks of 2 colours cut in 5 inch squares in a four patch. Then we will see what it looks like on the floor to decided if it needs strips in between. What can I say? I am happiest if I design as I go. And that is as far as I got…. also WTS – watch this space, because now I will feel like I HAVE to get it done so I can report on the progress. In truth I have had mini fantasies about swinging in a hammock under a big tree with my vintage print quilt spread over me.